Welcome to PB Process Servers UK. We are an established and trusted firm of Nationwide Process Servers based in the United Kingdom. We have experienced, local Process Servers covering every major City, Town and Village in the UK. PB Process Servers UK is the preferred choice of Process Server for many top law firms both in the UK and Internationally. We have built an enviable reputation for providing our customers with fast, effective Legal Support Services throughout the UK. We offer our service to anyone who needs to have a Court Order or Legal Document served in the UK. Our clients are varied and include Solicitors, Lawyers, Councils, Government Departments, Companies, Charities, Insurance Companies and Private Individuals. If you need to instruct an experienced firm of Process Servers in the United Kingdom we are ideally placed to assist you. We serve Court Orders UK-Wide. We have local Process Servers ready to assist you in in every City, Town and Village in the UK. Whatever you need serving we can help you. We serve all types of Court Orders and Legal Documents such as Court Orders, Statutory Demands, Bankruptcy Petitions and Winding-Up Petitions, Claim Forms, Writs, Citations and Summons, Divorce Petitions, Family and Children's Proceedings, Injunction Orders, Section 21 Notices, Section 8 Notices, Tenant and Landlord Lease Break Notices to name just a few! Our Process Servers, Private Bailiffs, Enquiry Agents or Private Investigators are some of the most experienced people in our industry. You can instruct PB Process Servers UK safe in the knowledge your case will be dealt with by an experienced Process Server. We provide a Low Cost, Fixed Fee Process Service which includes multiple visits to the same address, at least one out of hours or weekend visit when necessary. An Affidavit, Certificate of Service or Statement of Service returned to you once completed. Ready To Instruct a Process Near You? For our Standard Service your Process Server will normally attend the address for service within 2-3 days of receipt of your instructions. If this is not soon enough then you can opt for our Priority Service - Our Priority Service includes a first visit to the address within 1 business day or sooner. We have experienced Process Servers ready to assist you immediately. The fees we quote are the fees you pay, there are no hidden charges for mileage etc. If you wish to instruct a Process Server near you then simply let us have your instructions along with the Court papers for service. Our website has a lot of information about Process Serving so take your time to look around. We include information and advice on Issuing a Statutory Demand as well as general Process Serving Advice. Find out more information about PB Process Servers UK. to serve your documents promptly and in accordance with CPR rules. to serve the papers in accordance with your special instructions. to ensure all Data Protection and Human Rights legislation is adhered to. to keep you updated and advise you when service has been completed. to monitor all cases we are dealing with and ensure they are returned to you on time. that all statements or affidavits will be completed correctly. If you need a Court Order or Legal Document serving in the United Kingdom we can assist you. We regularly serve Court papers in the UK which originate from abroad for people in the United States of America, Canada, Australia and New Zealand and South Africa. If you are looking for a Process Server in the United Kingdom click here. It is important to ensure a Court Order is served correctly. 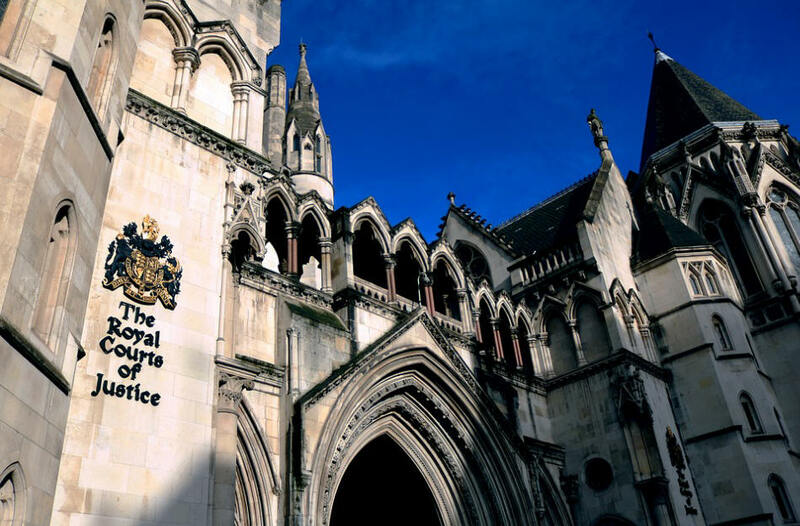 Click here for further information on serving a Court Order or Injunction in the UK. Our Process Servers and Bailiffs serve Divorce Petitions in England and Wales. Information on How To Serve a Divorce Petition. We assist client even where the Court Bailiff has been unable to do so. Find out more about how we can help when Court Bailiff Cannot Serve Divorce Petitions. We accept some Legal Aid Cases. If we accept the legal aid job then our invoice will be broken down into time and mileage at the LAA accepted rates. If your case is LAA funded follow this link for Process Serving at LAA Rates.